Instructions are with the tutorials, so please ask questions there! Thank god I've found this, I'm going to make this for my older sister for her birthday. We both love Bravest Warriors, and she's been bugging me for a Catbug plush for months, now. This is the best pattern made for him that I've seen so far. I am in love with this pattern! Thank you so much for making it available to the public! <3 It's so fun and easy to make! I made a catbug of my own! whoa. my aunts bday is coming up and i was gonna buy her a cat bug plush but this is neater. making for my grandkids. They are so excited! Thanks!!!!!!! Thank you for sharing this fantastic tutorial! OH M GLOB YES!!! Thank you!! Ima make a GIANT one for meee!!! So adorable. I must make one. Does the pattern include seam allowance? Patterns almost never do. Unless they specifically state otherwise, always assume you have to measure your own seam allowance. Thank you so much for this. I have literally just spent HOURS trying to make a pattern for Catbug for my Comic Con cosplay and I can't get it right. This is a lifesaver! I love Catbug so much; thank you so much for creating this! I'll definitely be making one and I'll tag you when I'm done ^w^ You made wonderful plushies by the way; you're so talented! THank you so much! i love your patterns and I'm gonna make this for my friend. he looves catbug! Just wondering... Are these easy for a medium skilled sewer? How big will he turn out? Should I drop the sugar peas? 1. It should be very easy. The only part that's a bit difficult is how the shell fits to the body, but just do it in stages like the tutorial shows and you should be fine. 2. He ends up about 6 inches tall. 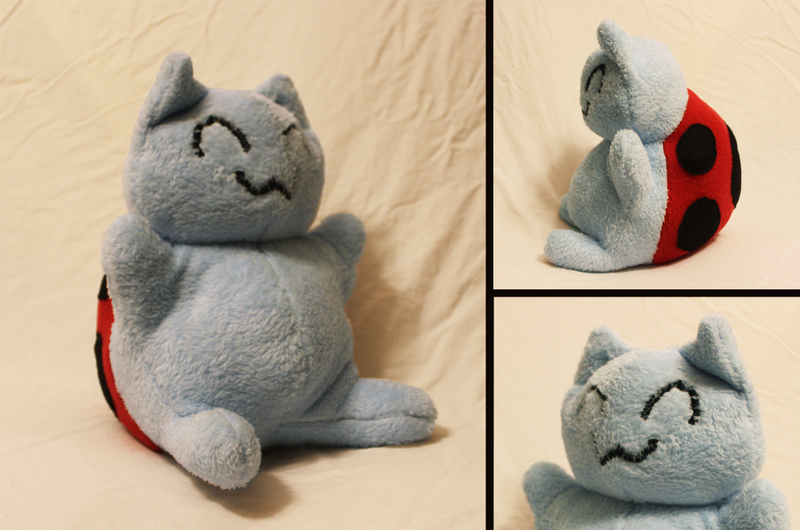 I just finished my Catbug made with this pattern, and I'm REALLY happy with him. Your patterns are absolutely the best, thanks! Hafta buy some fabric now! o-o Tutorials too!? Oh snap. Maybe I should see how I am with a needle and thread.